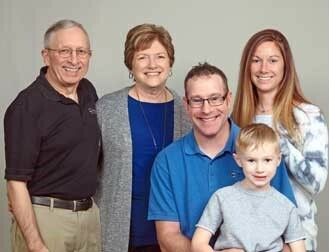 Family owned and operated for over 40 years. Many of you probably wonder if there is a mechanic near me I can trust. Roberts Automotive, a full-service, mechanical, AAA approved car repair shop specializing in German cars, can put your mind at ease. We care about our customers and strive to provide value by becoming trusted advisers. We know that having your car repaired can be both inconvenient and expensive, so we take great pride in spotting potential problems and getting them fixed right the first time. Your time should be spent with family and friends, not sitting by the side of the road in a disabled car. 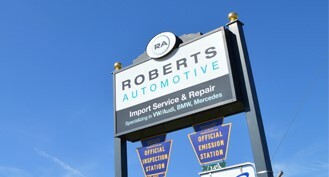 Roberts Automotive is an independent, family-owned and family-operated auto repair and service shop serving Lancaster County for over 40 years. Our goal is to meet or exceed our customers’ expectations in every aspect of automotive repair and service. Everyone on the staff at Roberts Automotive cares about our customers and their cars. Our mechanics don’t just fix cars. Using a checklist they find all current and potential problems. Our friendly, highly skilled service advisor helps you to prioritize the work based on your driving habits. We know that just repairing cars is not enough, and we go the extra mile to make doing business with us as convenient as possible. Our auto service and maintenance programs keep you in compliance with your new or used car warranty. Our loaner car program helps keep you on schedule without interrupting your usual daily routines, and all of our work is backed by a 24-month, 24,000-mile warranty to give you peace of mind. So, if you are searching for a mechanic near me, you can find us located in Mountville, Pa proudly serving the neighborhoods of, Mountville, Lancaster, Mt. Joy, Landisville, Lititz, Manheim, Millersville, Columbia, Wrightsville, and Washington Boro. With over 90 years of combined automotive experience, our master mechanics possess the tools, knowledge, training, and skills to help solve the toughest problems correctly the first time. Our mission at Roberts Automotive is to help our customers own and operate safe and reliable cars that run trouble-free for hundreds of thousands of miles. Ever had your German car in a car repair shop and they couldn’t find the problem? Or worse, they put parts on the car and came back to say that it didn’t solve the problem and now it needs more parts? That’s often a frustrating, time consuming and expensive experience. At Roberts Automotive, we fix cars others can’t. In fact many other shops send their most difficult problems to us and we have been able to help them get the car back on the road and in their customer’s hands quickly. Your time is valuable and your car is important to your lifestyle. We appreciate that. 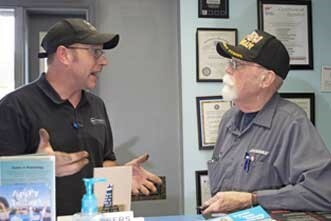 At Roberts Automotive, our service advisors take the time to find out all of the symptoms you are experiencing and get that information to the mechanic who is best able to solve the problem. Most of the time we can get the car back in your hands quickly subject to parts availability. In other words, for a difficult problem, parts may need to be ordered and take a couple of days. Unfortunately, we are at the mercy of the parts suppliers in that case. We know good communications between our customers and our staff is the key to solving most problems. Paradoxically, some people are in a hurry and become impatient with our detailed questioning. At times it has taken a half hour of conversation with a customer to uncover some seemingly inconsequential detail that was key to solving the problem. That sure beats hours of testing, which is pretty expensive. If you are in the market for car repairs on your VW/Audi, BMW, Mercedes or Porsche, try us. At Roberts Automotive, we are also able to help solve difficult problems on other makes. We are a Bosch Car Service shop, which means our mechanics get training from the manufacturer whose technology is in every car on the planet. Happy Motoring! Mechanics serving the automotive repair and service needs of Lancaster County communities such as Columbia, Conestoga, Lancaster, Landisville, Millersville, Mountville, Mount Joy, Washington Boro and Wrightsville. Please complete the form to receive your $10 OFF Power Steering Flush coupon. Please complete the form to receive your $25 OFF Timing Belt Service coupon. Please complete the form to receive your $10 OFF State Inspection coupon. Please complete the form to receive your $10 OFF Check Engine Light Testing coupon. Please complete the form to receive your $20 OFF Service or Repair Over $100 coupon. Please complete the form to receive your $10 OFF Oil and Filter Change coupon.